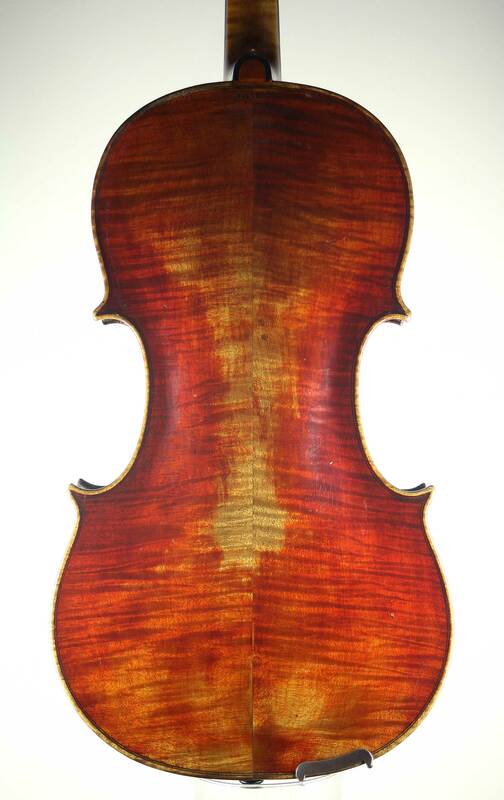 This is a particularly good sounding small viola sold by Goulding & Co around 1800, almost certainly the work of Thomas Kennedy. 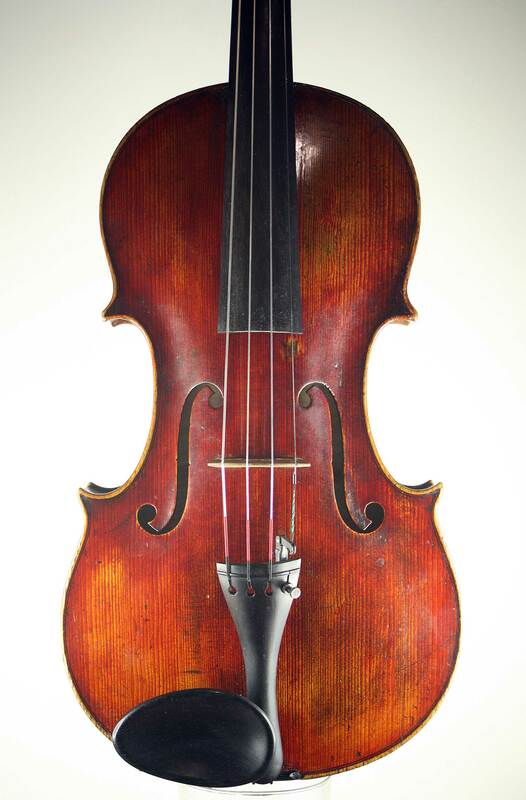 You can find the sister of this instrument in “The British Violin : 400 years of Violin Making in the British Isles”. 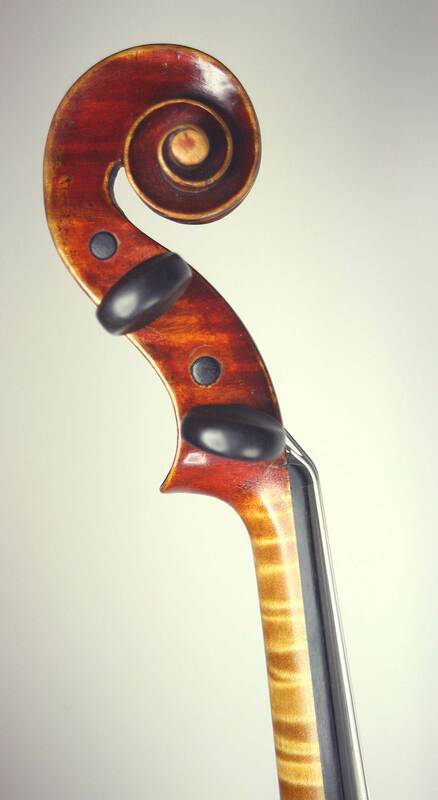 It’s a great looking instrument, with a vivid red varnish and some strikingly flamed maple. 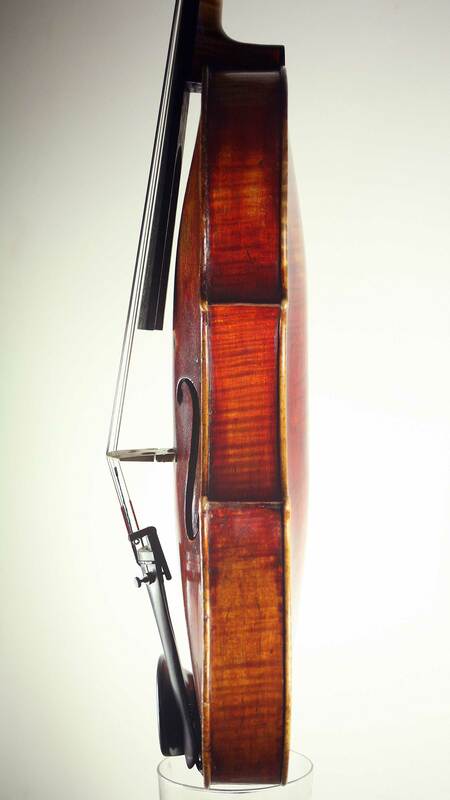 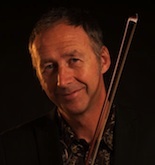 Although the back length is a mere 38.3 cm, the ribs are on the tall side at 35-37mm and the arching is pretty high, so there’s a lot of air in this instrument.